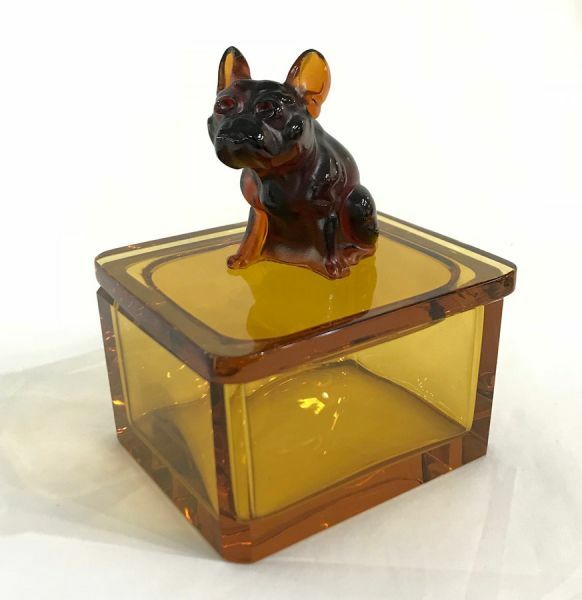 Art Deco amber glass dresser box with a French Bulldog finial. 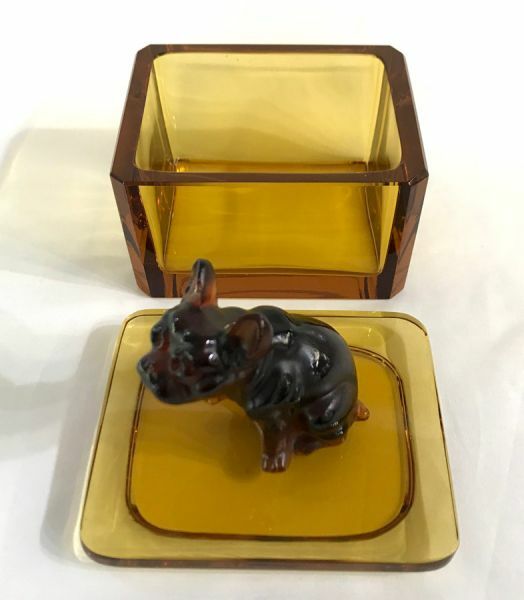 Unmarked, likely from Czechoslovakia, circa 1930s. 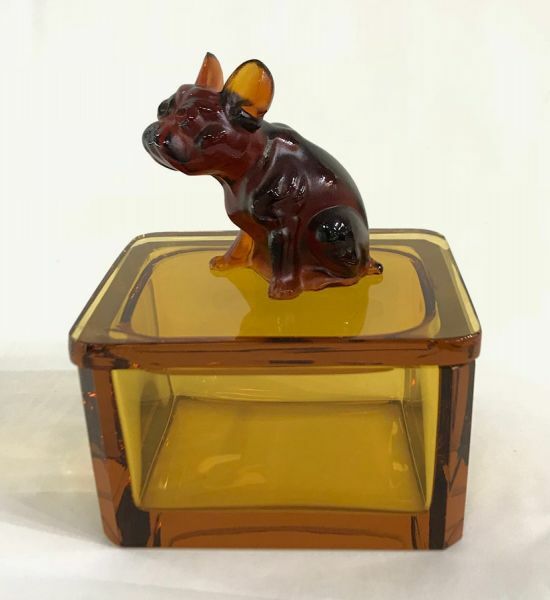 4 1/4” by 3 5/8”, 5 1/4” high.